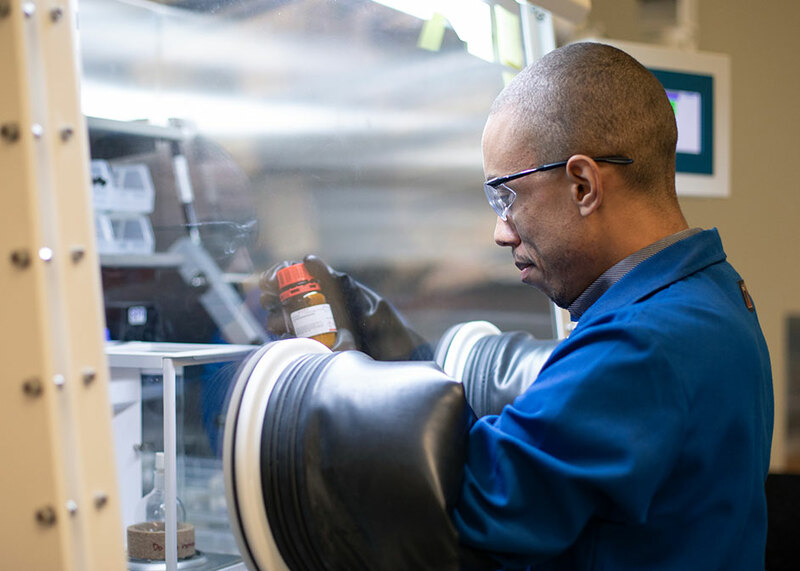 As an undergraduate student, Anthony Keyes, a University of Houston Ph.D. student in chemistry, noticed many of his classmates weren’t aware of the different summer research programs available. Anthony Keyes, a Ph.D. student in chemistry, founded the NSM Peer Writing Group, which helps students apply for fellowship opportunities. “A lot of students just didn’t know these opportunities existed or how to apply for them,” Keyes said. So, Keyes started a peer writing group, aimed at preparing applications for summer research programs. This group prospered, with students finding and applying for research opportunities. Meanwhile, Keyes applied for and received a highly prestigious fellowship from the National Science Foundation Graduate Research Fellowship Program (NSF-GRFP). The NSF-GRFP recognizes and supports outstanding graduate students pursuing research-based master’s and doctoral degrees by providing three years of funding, including a stipend and tuition support. The NSF-GRFP is also quite competitive, with an average award rate of about 16 percent. Students are only allowed to apply twice, once as an undergraduate student, and once during the first two years of graduate school. This fellowship supports Keyes’ research on developing new methods for polymerization, which he conducts under the mentorship of Eva Harth, professor of chemistry in the College of Natural Sciences and Mathematics. He has already published two first author publications in his first year. Out of a group of four students who applied that year, two of them, including Keyes, were awarded the fellowship on their first try. Meanwhile, for the other two, the second time was the charm, with both receiving the fellowship the following year. When Keyes matriculated at UH in the fall of 2017, he wanted to replicate this peer writing group. Given his track record of success, as well as the preparation materials he’d collected, he knew this was a way he could add to the UH community. With the support of NSM faculty and staff, he instituted an NSM Peer Writing group, with a focus on applying for the NSF-GRFP. This group, which met at periodic intervals, worked on application materials, including drafting personal statements, putting together resumes, and developing research statements. Moving forward, Keyes hopes to strengthen and expand the NSM Peer Writing Group, recruiting students from different departments. “It takes about three years to get a program up and running,” Keyes said. Keyes is also a recipient of a Houston Endowment Recruitment Fellowship.